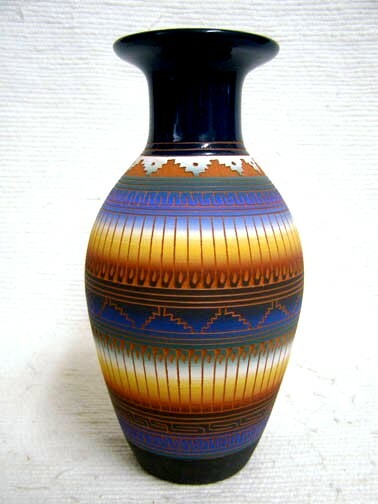 This tall vase beautifully etched with traditional patterns and painted with the colors of a desert sunset. 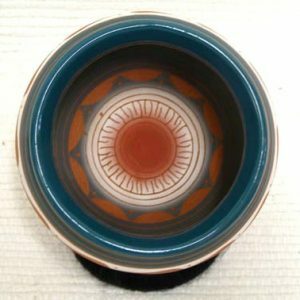 The inside rim of the pot is etched as well. 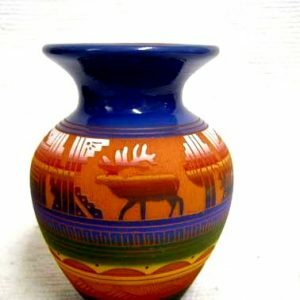 This vase is NOT glazed inside and CANNOT hold liquid. 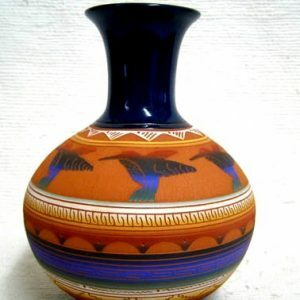 This vase measures 8.5 inches tall x 4.25 inches in diameter. 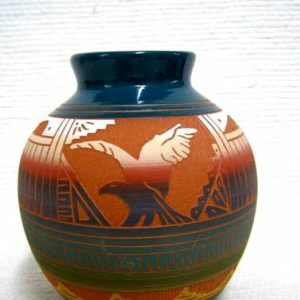 This Navajo pottery is authenticated by the artist’s signature on the bottom of the vase.